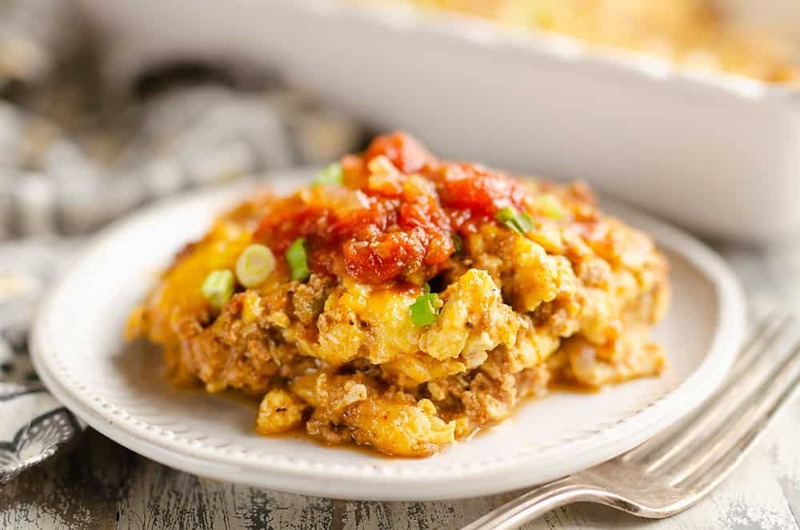 Light Mexican Breakfast Casserole is a healthy low carb brunch recipe you can make ahead overnight, full of scrambled eggs, a light homemade cheese sauce and taco seasoned ground turkey. Egg bakes are our family’s go-to brunch recipes, but they are usually loaded with bread and cheese, which doesn’t make for the healthiest breakfast. Sometimes I want a low carb recipe like this Roasted Poblano & Chorizo Egg Casserole. while other times I enjoy a my Mom’s rich egg bakes. 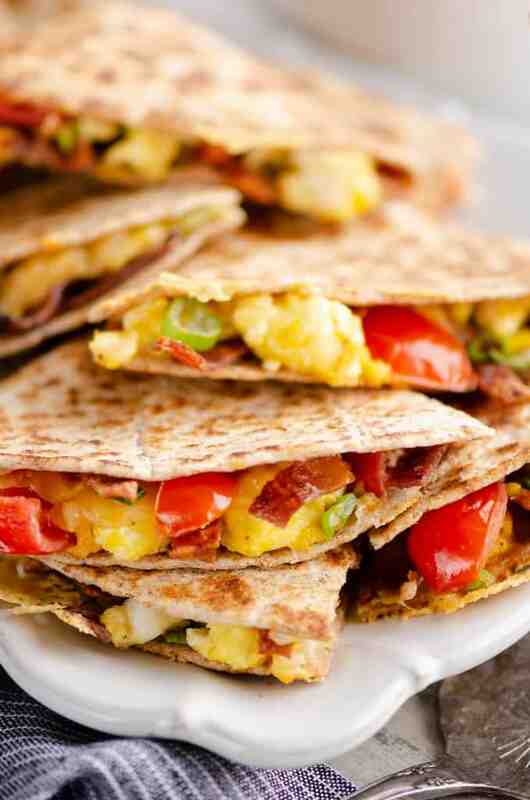 You can still pack your brunch full of amazingly flavors without all the carbs though. On this particular occasion I wanted to change things up while keeping it light and simple with this Light Mexican Breakfast Casserole. My Mom has this ham and cheese egg bake recipe that is a family favorite and full of scrambled eggs and a rich cheese sauce. I decided to use that recipe as a jumping off point to make this casserole. I lightened up the cheese sauce and used turkey taco meat instead of ham. Once I combined the cheese sauce and turkey meat I decided to give it a taste to see how it was coming together. My goodness was it delicious! So delicious in fact that it made a great Light Queso Dip perfect all on it’s own with chips! If you don’t get side tracked like me and turn your brunch into a chip dip, keep reading on how to make this lightened up egg bake. To get started, make the homemade cheese sauce with a little bit of flour and butter along with milk and sharp cheddar. While the queso is coming together, toss the ground turkey in another skillet with the onion and begin browning the meat. Add in some chopped jalapenos and taco seasoning. If your family doesn’t like the heat you can cut back on the amount of peppers or eliminate them all together. They do add a nice flavor to the dish though. Stir the cheese sauce into the cooked meat and set aside. In a separate pan, begin scrambling your eggs over medium-low heat. This is an important element to making light and fluffy scrambled eggs. If you cook them over high heat they will be dense and rubbery. By cooking them over low heat and stirring frequently, it adds air into the eggs to make amazing fluffy scrambled eggs. Spoon the eggs into a greased 8×10 pan and top with the turkey and cheese mixture. At this point you can cover and refrigerate the mixture overnight for a great make ahead Mexican Breakfast Casserole. If you weren’t prepared and are whipping up your brunch last minute, you can skip this step and add the casserole directly to the oven. 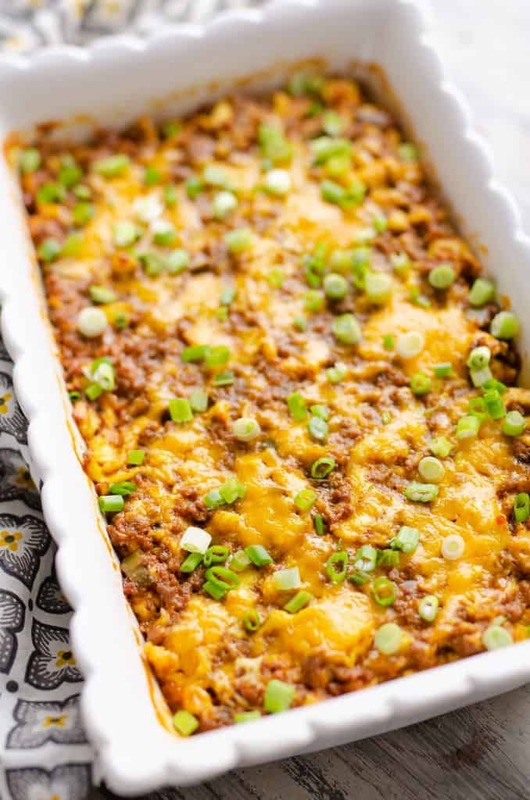 When you are ready to bake your Light Mexican Breakfast Casserole, top it with additional shredded cheese and bake at 350° for 20-30 minutes. 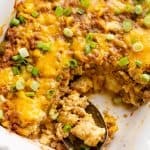 If you are making the Overnight Mexican Breakfast Casserole, it will take closer to 30 minutes, but if you are making it all at in the morning, 20 minutes will be enough to bake everything through. Allow the egg bake to rest for 5-10 minutes before serving so it can set up. 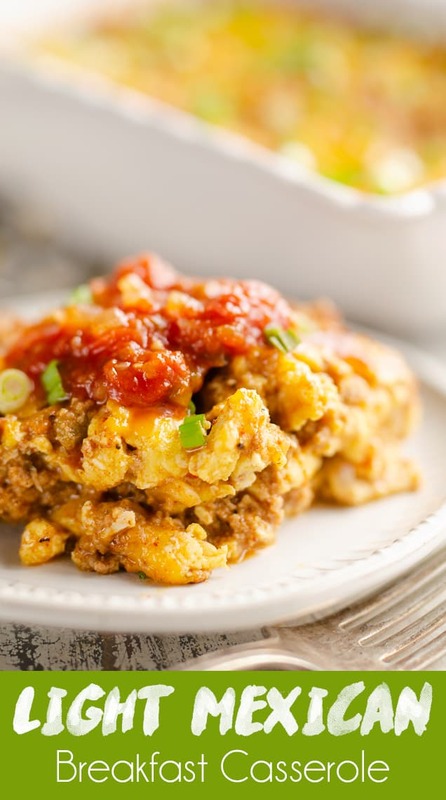 Serve the Mexican Breakfast Casserole with green onions and salsa and enjoy! In a large non-stick skillet, saute the ground turkey and onion until there is no longer any pink in the meat. Stir in the jalapenos and taco seasoning and cook for an additional 2 minutes. Meanwhile, in a skillet over medium heat, melt the butter and whisk in the flour. Continue whisking as you cook for 2 minutes. Very slowly, add the milk as you continue to whisk vigorously. When all of the milk has been incorporated, stir in the salt and pepper. Fold 1 cup sharp cheddar until it is all melted. Stir the ground meat and onion mixture into the cheese sauce. In a separate pan, begin scrambling your eggs over medium-low heat. Once the eggs are almost set, add them to a greased 8x10 baking pan. Top the eggs with the cheese and meat mixture. Top with the remaining 1/2 cup shredded cheese. Bake at 350° for 30 minutes. Allow to rest for 5-10 minutes before serving so it can set up. 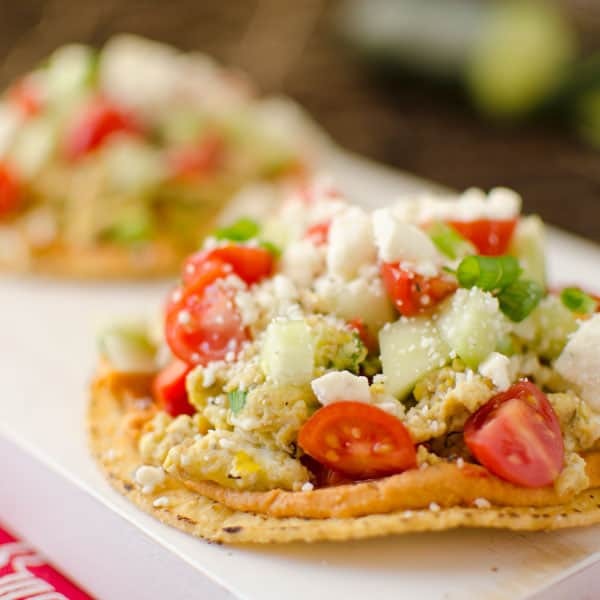 Serve topped with green onions and salsa. I love this recipe. So yummy! Oh my freakin goodness this was AMAZING! 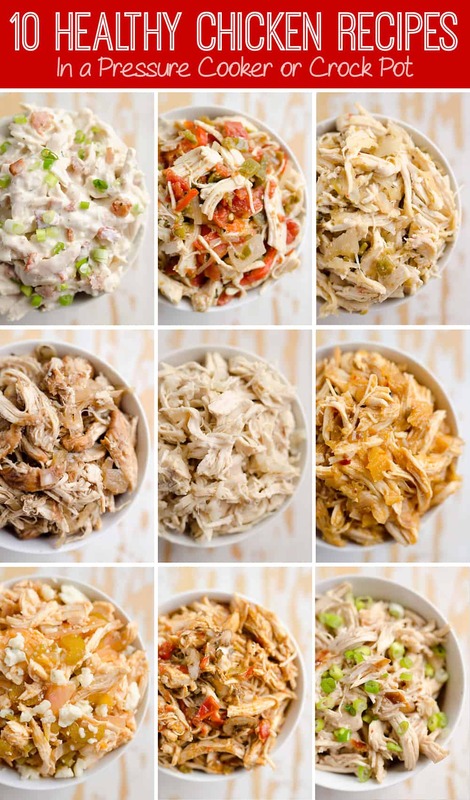 I can’t wait to try that chip dip! 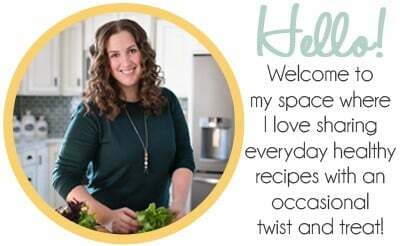 I actually made this recipe for dinner the other night and my husband RAVED about it! Thank you! Mmm! Sounds so yummy! 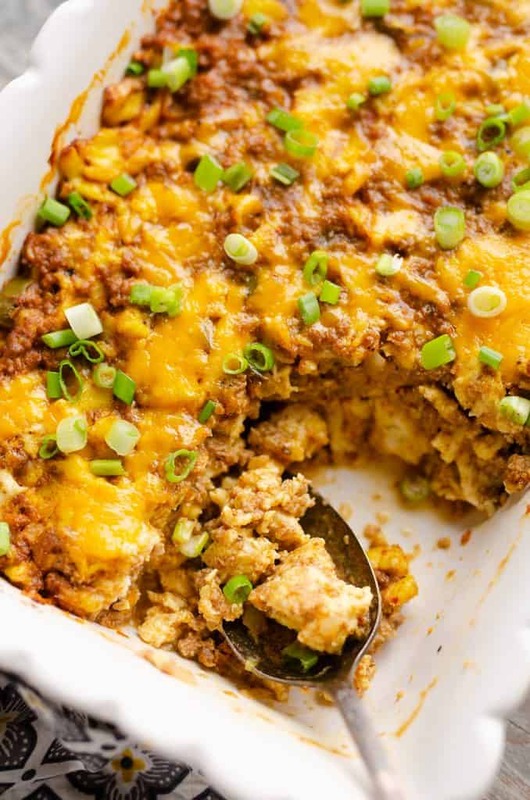 I love breakfast casseroles, and your Mexican twist is such a great idea! 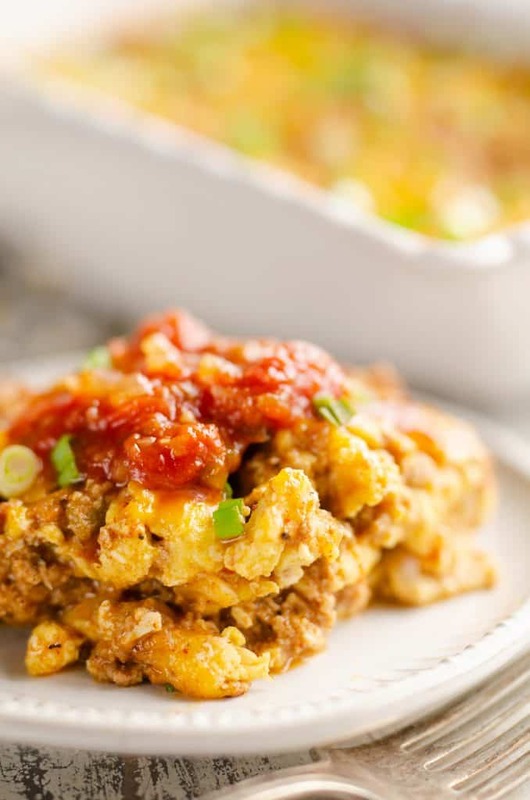 Such a great and flavorful breakfast casserole for those of us on a low carb diet!! Thanks!